Is it time to make changes to the way you eat but you don’t know how to get started? Does the prospect of cleaning out your fridge and pantry seem overwhelming or daunting? You know that good nutrition is important, but it can be hard to overcome a lifetime of eating habits that feel like they are an essential part of your identity. Melissa Rubin can help put you on the right track to optimal health. She is Santa Barbara’s premier Food Consultant and is passionate about both food and wellness. Melissa will guide you to new and exciting food choices. 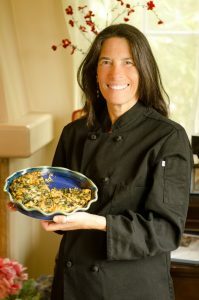 She will create a supportive and nurturing environment to take your relationship with food to a whole new level and transform your entire life. The Initial Consultation is the perfect jumping off point on your journey with Melissa. Over the course of the meeting, you will discuss your current approach to food, your motivation to make a change, and to identify potential problem areas. There is no pressure to go beyond your comfort zone. Melissa strongly believes in encouraging her clients to make changes that they can stick with for the long haul. Small adjustments now can lead to big results down the road. Melissa asks poignant questions about your current lifestyle and food choices and helps you hone in on ways to make significant changes. Achieving your health goals is nearly impossible on a diet filled with chemicals, hormones, and antibiotics. Oftentimes, you might not even know about the toxins in your food! Melissa’s Wellness Packages are designed to give you the knowledge to achieve optimal health with minimal fuss! What Does Each Step Include? Great question! Keep reading to find out more detail about each step. . .
During the initial cleanout of your refrigerator and/or pantry, Melissa will help you discard and donate unhealthy food options and get rid of unused products that are taking up valuable shelf space. She will show how to recognize ingredients listed on labels that might look harmless, but are in no way natural or good for you. You will both discuss healthier and tastier options for your favorite “go-to” meals. With Melissa by your side, you will begin to build a solid and healthy food foundation from which to grow upon. Depending on which package you choose, Melissa will next accompany you to a local farmer’s market and/or a grocery store of your choosing. You will be introduced to delicious food options that will expand your palate and make eating healthy more fun than you ever thought possible. Melissa works closely with your budget and she’ll discuss how to do strategic meal planning (whether at home or on-the-fly). The final phase includes hands-on cooking lessons. You will learn how to approach your new food choices with confidence and excitement. Melissa provides you with several recipes that will awaken and expand your palate. Healthy eating will be associated with delicious eating every time! Regular check-ins to help keep you focused on achieving your goals! Prices range from $85 – $125/hour. Call today for a free estimate. Take charge of your health – call or email Melissa today!